Gently serves even rice that has already cooled without damaging it. 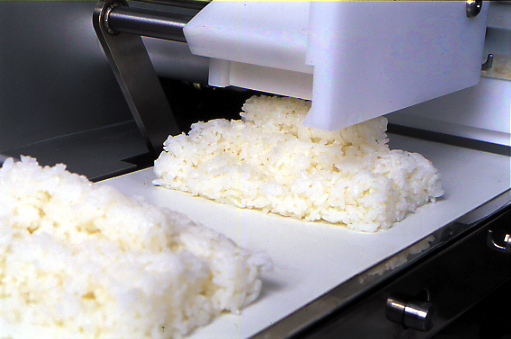 Technology for measuring weights of rice highly accurate thanks to beltless transfer method. High productivity, serving up to 2,000 dishes/hour. Large LCD touchscreen makes for easy operation. 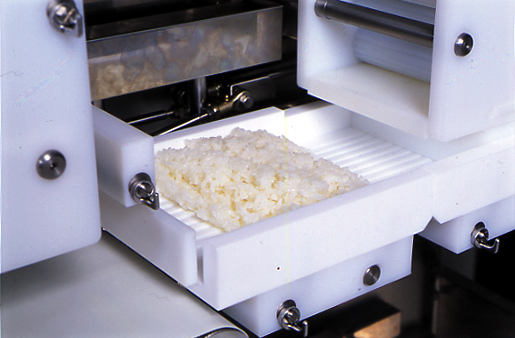 Compact design; all-in-one unit includes rice lifter. Rice always fluffy. Two-step measuring method ensures accurate amounts. Simple design makes it easy to assemble and disassemble mechanism for cleaning without tools. Can store up to 8 different preset modes via touchscreen. Touchscreen also displays error messages with guidance on how to troubleshoot problems. 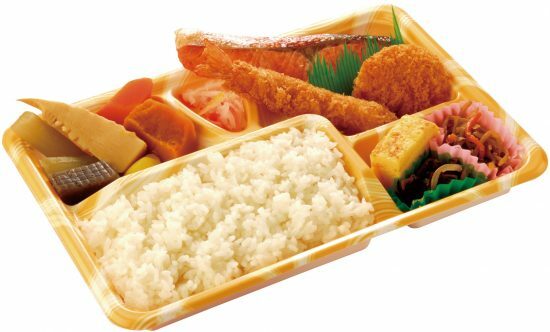 Easily connected to bento toppings table & conveyor (CEN-BLB) to create bento box manufacturing line. 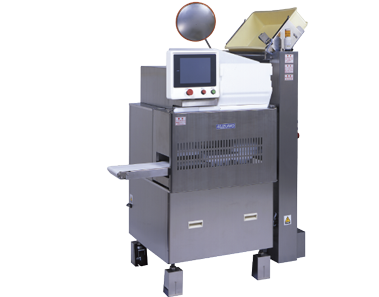 1.Measuring roller unit dispenses 80% to 90% of the desired rice volume and confirms weight with checker unit.